As “Wild Country and Cow Folk” continues to successfully roll along, it is time to start planning for our next show in our updated SCAA Gallery. To enter “Wanderlust”, go to the link below and follow the simple online submission procedures. For submission questions, please contact Scott Parker at (661) 313-5216. For any other questions, please contact Mardi Georgio at (661) 857-3372 or mardigeorgio@gmail.com or Chrystal Walker at (818) 322-5045 or ckay@ckayart.com. If accepted into the show, artists may bring up to 5 matted prints, and note cards in addition to their accepted works. In addition artists may bring up to 4 pieces of tabletop art not to exceed 10” x 12”. Please try to follow the theme if possible. For jewelry, photos do not need to be submitted, but the display must also adhere to the tabletop size limitations. The Gallery Committee will place all small works in the show. No additional pieces may be added except during artists’ hosting hours. Hanging work must be framed or gallery wrapped (minimum 1 ½” D), no larger than 24” x 36” (including frame) and must be wired for hanging. Artists will tag/label their own small works. 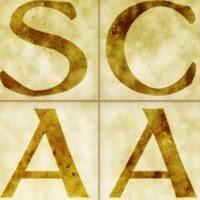 SCAA will make tags for accepted wall pieces. Each artist must fill out a Gallery Form on-line listing all works entered for the show. It is recommended that artist keep their own inventory list. SCAA 25% commission and a $15 entry fee will apply. All artists must host four 3-hour shifts. More information will be sent. Select hosting shifts via Sign-Up Genius when notified. NOTE: Art should follow the theme of this show. You must fill out the registration form completely in order to submit the form. Please upload "jpg only" image files. Label your image files with the titles before uploading the image file. This is to ensure there is no confusion later identifying the artwork. Enter Size of Image in the following format: 24"x30"
Enter the medium of the piece. Just click once on the image name. A cursor will appear. Delete the existing name. Type the name name exactly like the format example below. Please upload "jpg only" image files. Please label your image files with the titles before uploading the image file. This is to ensure there is no confusion later identifying the artwork. The "Submit/Upload" process may take a few moments depending the size of the files. ​*After you have clicked on "Submit", you will be directed to a confirmation page.